Lots of things are terrible. Lumpy custard. Leaky shoes. Missing the last bus home. But all those awful things pale beside the terrible trenches of the First World War: so horrific that 100 years later, people still shudder at the thought of them. Revolting rations, shocking shells, traumatic toilets, lousy lice, grisly gangrene: soldiers in the trenches had to endure them all. Imagine living and fighting in a stinky, wet hole in the ground, while bullets zinged above your head and cannons bombarded your hidey-hole. 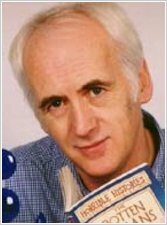 No book can describe that kind of horror, but this book gets pretty close. 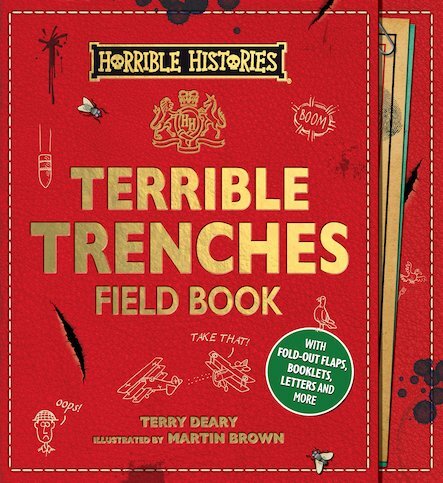 It’s crammed with fold-out features, yucky facts, lousy letters, songs, timelines and quizzes that bring the trenches to life in Terry Deary’s classic Horrible style.